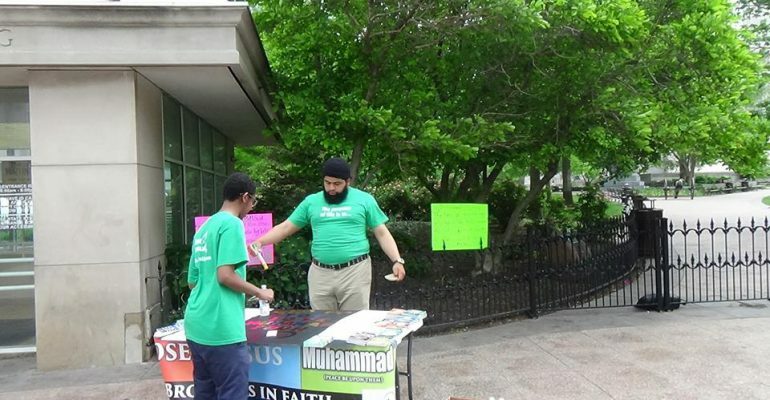 1st Dawah Table in Columbus, Ohio, It is a weekly event to educate the community about issues and misconceptions about Islam in the media and general society. We also hand out documents, flyers, and even copies of the Quran. We set up multiple dawah tables in Columbus, Ohio with hundredsof Shahadda’s. We can help you establish Dawah Table in your city or campus.